NFARL (NF4GA) set out in early 2017 to celebrate their 40th club anniversary with a very unique USI adventure. Their goal, as a club was to operate from a minimum of 40 U.S. Islands. 10 menbers, Scott Straw KB4KBS, Jeff Otterson N1KDO, Jim Paine N4SEC, Terry Joyner W4YBV, Grant Register KK4PCR, Daryl Young K4RGK, Lori Young K4UPI, Bob Hensey K4VBM, John Norris N4IHV, and Bill Cobb K4YJJ joined forces to exceed their goal and operated from 46 USI with a total of 902 QSOs for the year. The idea to activate an island was borne in the regular club meetings (Amateur Radio Transmitting Society, ARTS), after discussing activating Shippingport (KY002R) near downtown Louisville, for about a year. 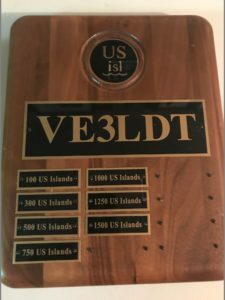 The US Islands program (USI) is found at http://usislands.org/ and it is not associated with the IOTA program but rather for islands found within lakes, rivers and ocean shore of the United States. 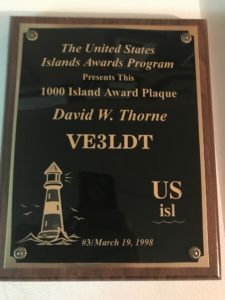 I also qualified one other USI, TX035L, Rattlesnake, many years ago and have activated TX003S, Goose island in the Gulf of Texas.